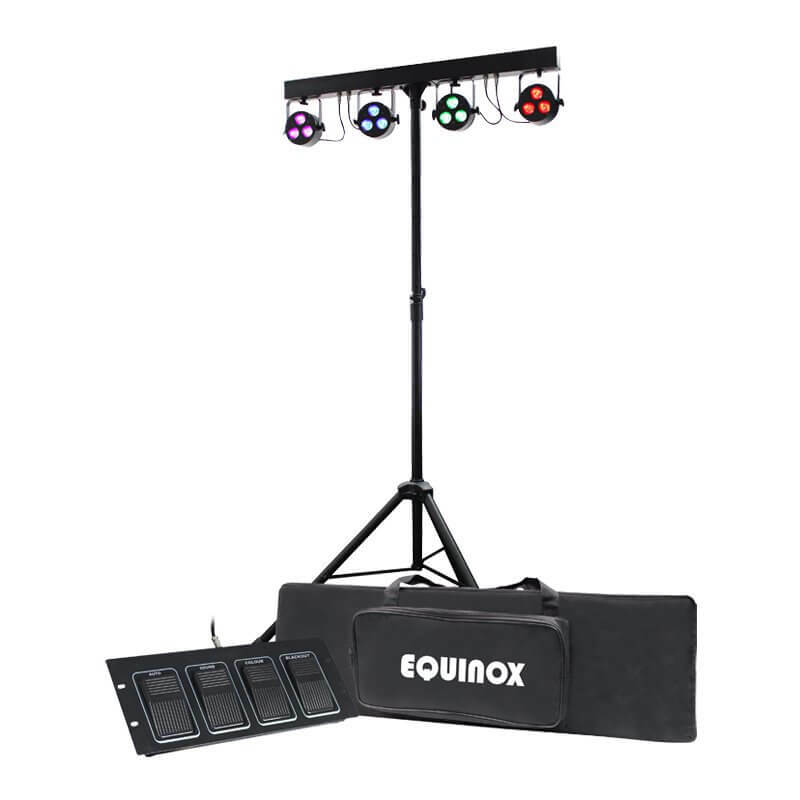 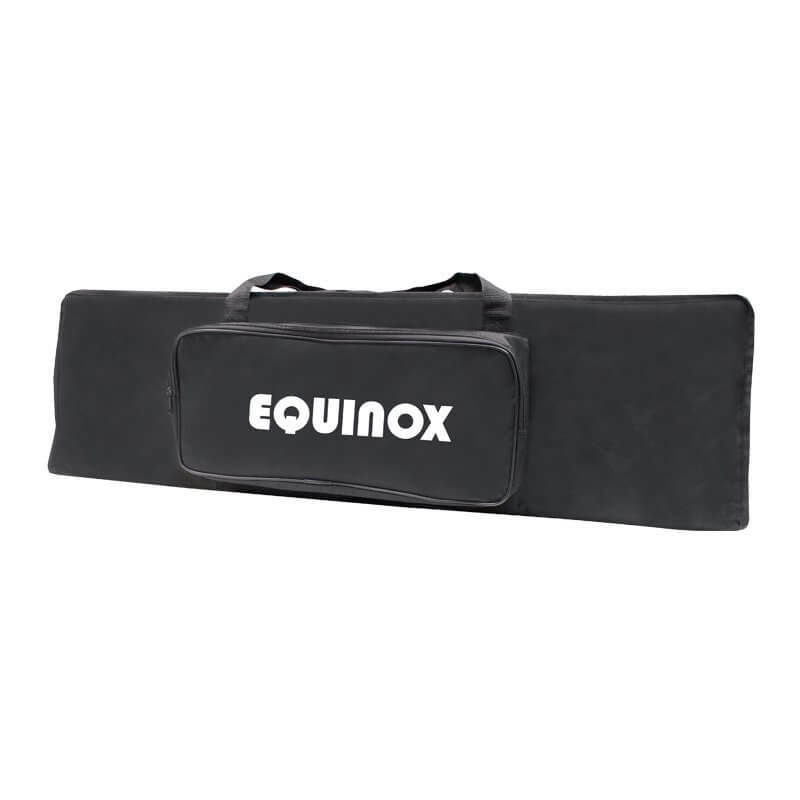 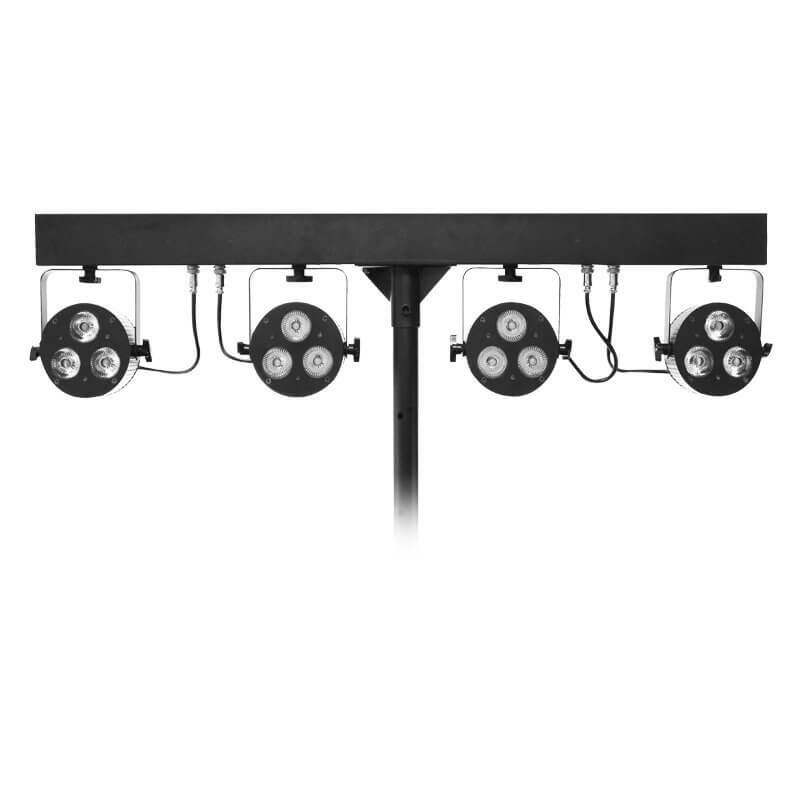 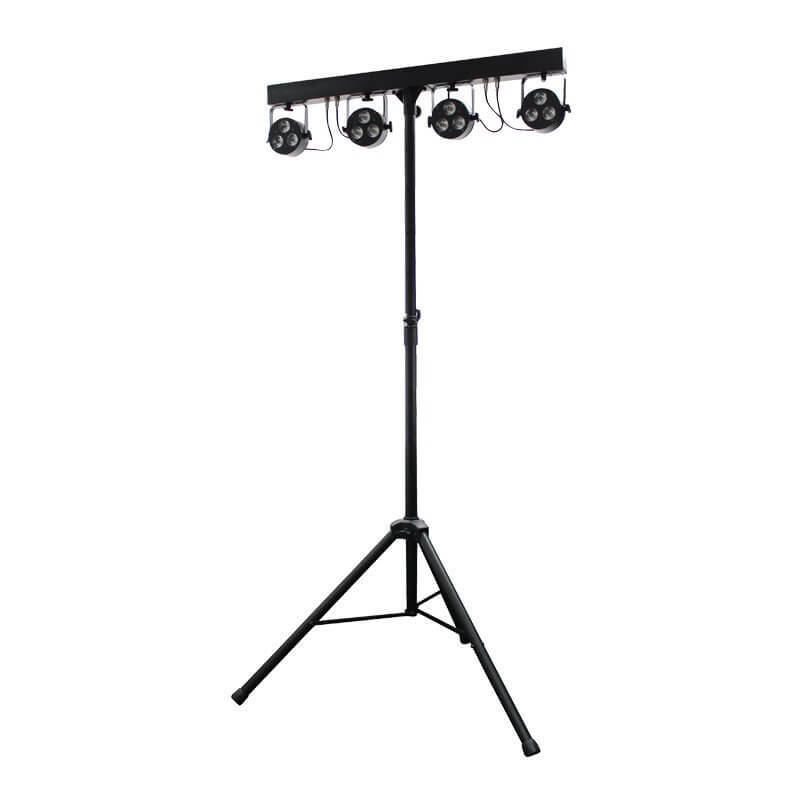 Designed to be an all-in-one lighting package, the Equinox Microbar Quad System includes a robust, heavy duty stand, heavy duty road bag, foot controller and 4 multi-colour LED Par panels fitted to a powered T-bar. 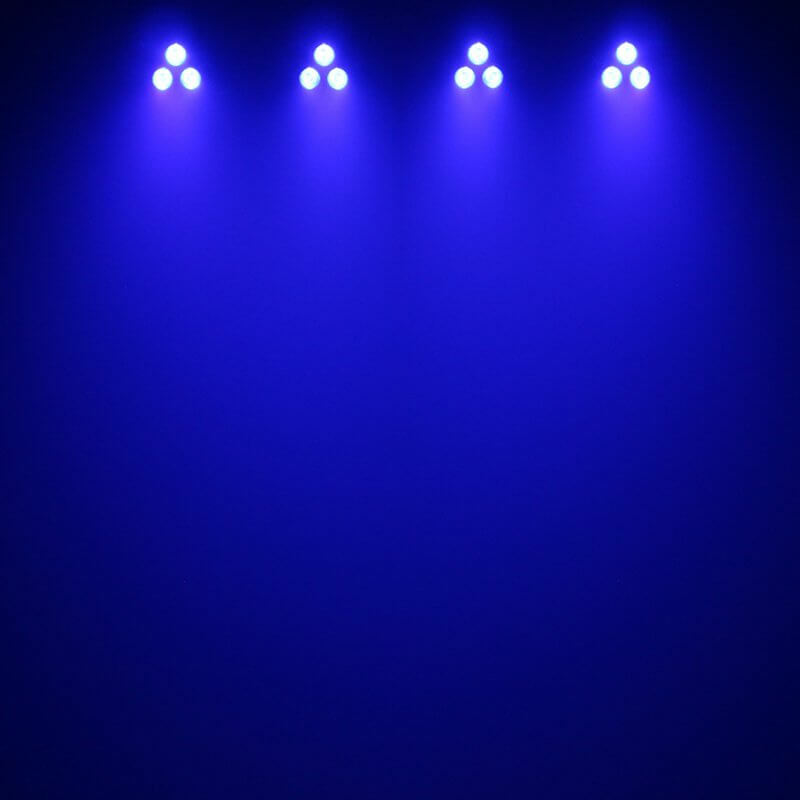 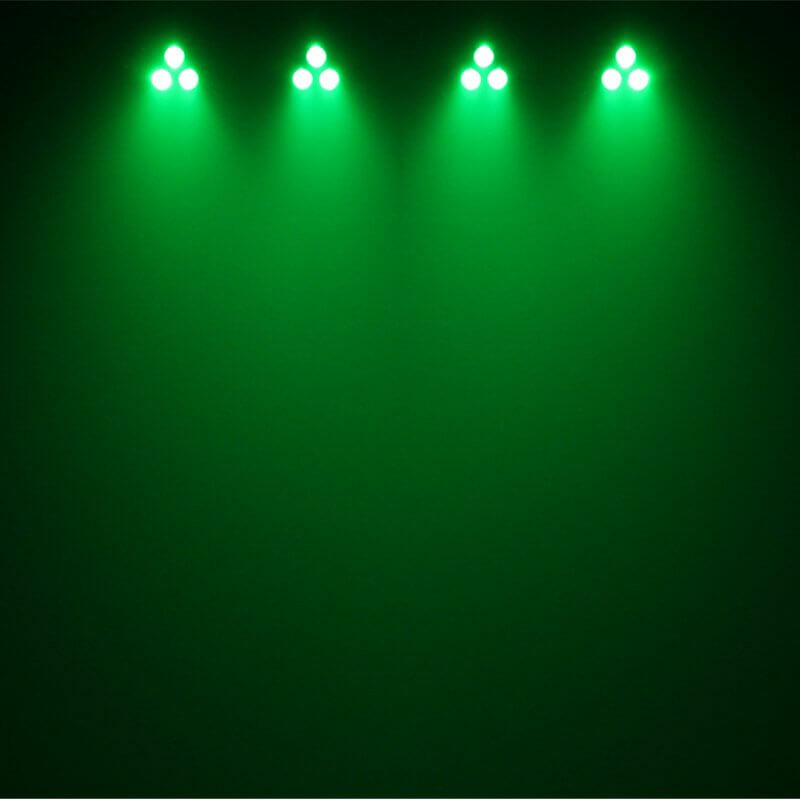 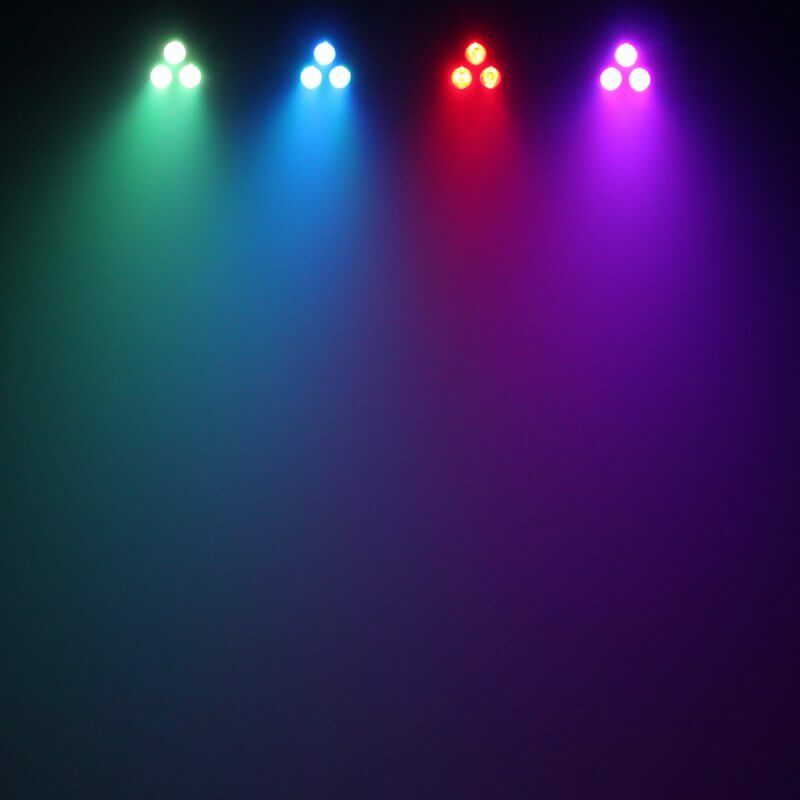 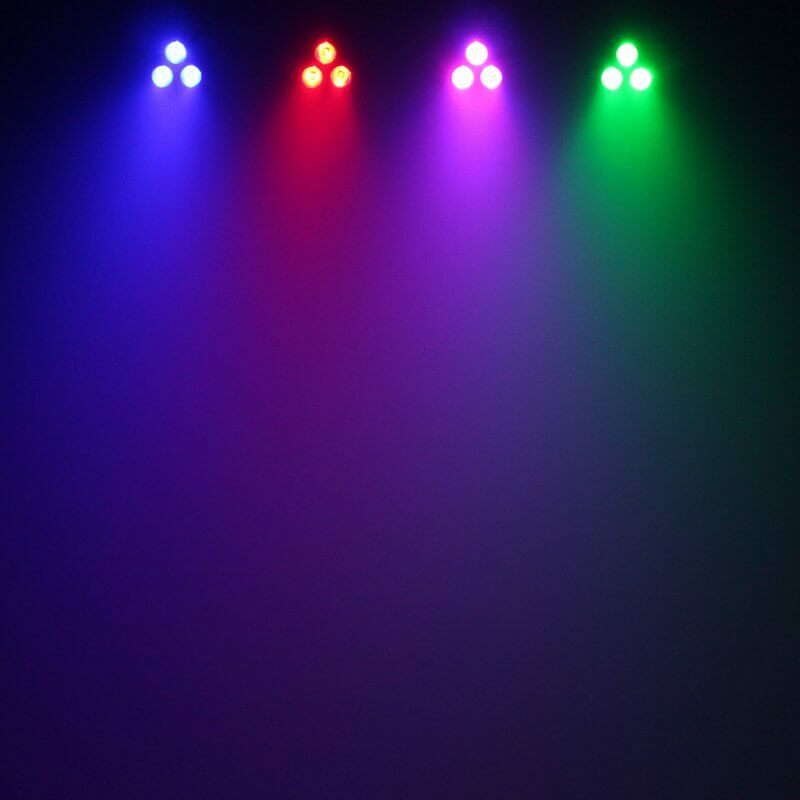 The 4 LED Par panels are of a micro size and slimline design and each feature 3 x 8W quad-colour LEDs. The user has control over colour, auto, sound active and DMX modes, via the LED display and push buttons. 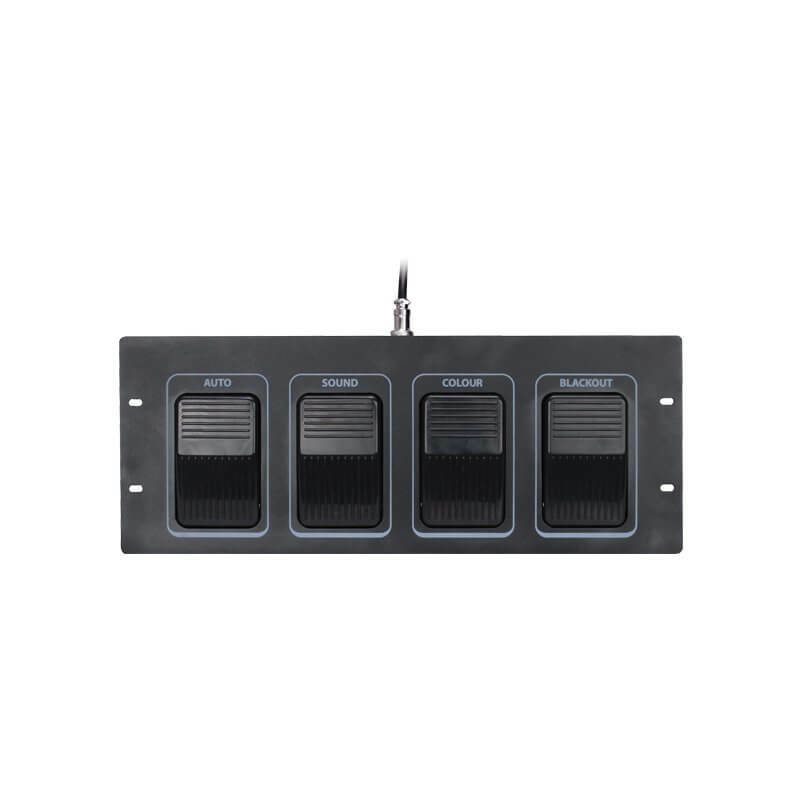 The foot controller gives instant and simple control over several control modes: blackout, auto, sound and colour.